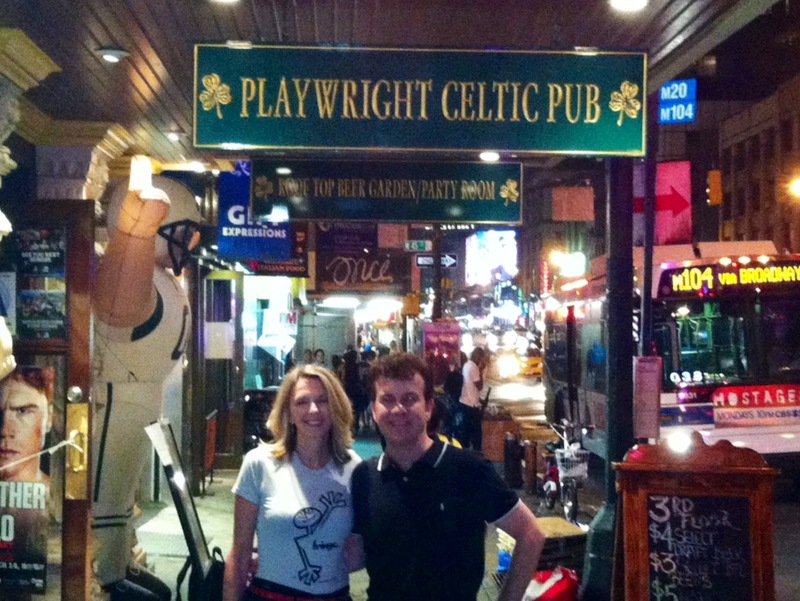 So much fun hanging around with Stage Manager John Bamond eating at cafes and Irish Pubs! An audition notice in Backstage yielded an embarrassment of riches. Thomas and I had to pinch each other to make sure we were awake, as actors came to the auditions off-book for the scenes they read. We found our new cast members within 2 days and were steeped in 7-hour rehearsals by the weekend. The rehearsal space we rented would make great reality tv, with opera in one studio, dancing in the room above us and scads of hopefuls lining the waiting room, resumes in hand. “I’m tired of 2-minute job interviews,” one young man lamented as we rode the elevator with him after his audition for Macbeth. It’s a tough town. 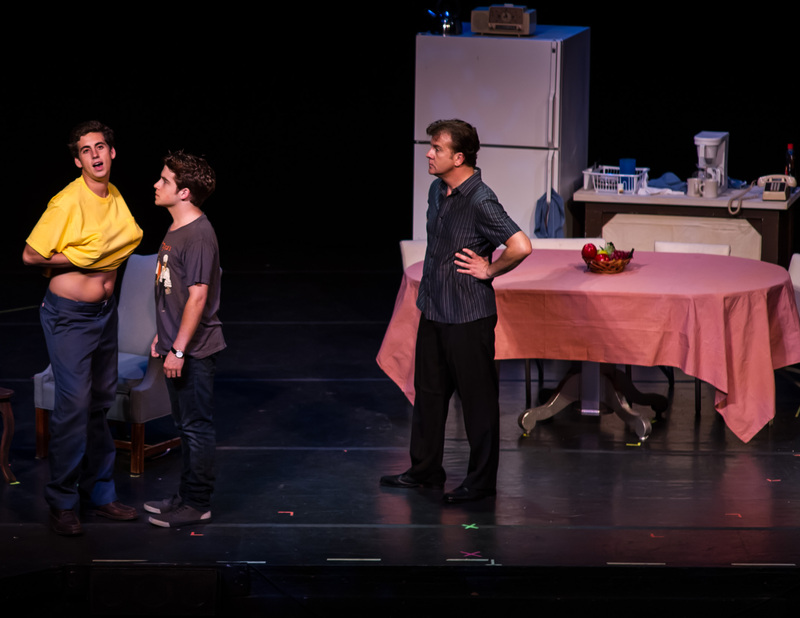 When I first heard we’d have 2 weeks to pull this show together again, I momentarily considered illegal drugs. Now, completely enmeshed in the process, there are moments of sheer joy. Real and spontaneous laughter erupts from new interpretations of words I’ve heard a thousand times. It is hard to temporarily say goodbye to many members of the first Fringe cast, they were so incredible, but it has taught me that the characters stand on their own, ready to be infused with new life with each new interpretation. I am enjoying watching my husband act. This is how I first met him, and he is at home on the stage.